The Timberwolves played their last summer league game on July 17, over two weeks ago. 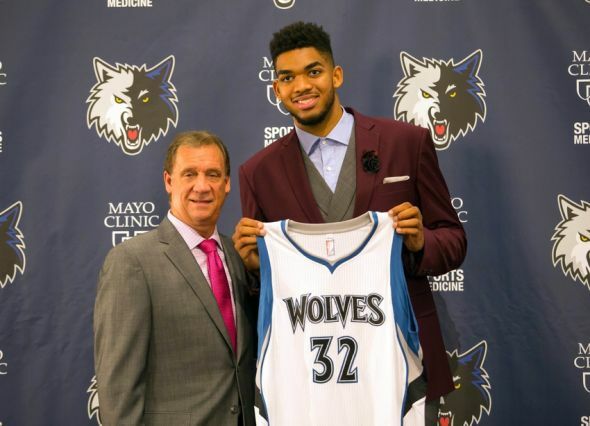 They drafted Karl-Anthony Towns and Tyus Jones on June 25, almost six weeks ago. They played their last real, regular season game on April 15, about three and a half months ago. They won’t open training camp for almost two months, or the regular season for about three. Not much is happening right now. But, as anyone familiar with Twitter or message-board blogs knows, that lack of substance does very little to slow the chatter of year-round, need-my-Timberwolves-fix fans. Over the past week, Timberwolves coach(/owner/president of basketball) Flip Saunders has gone out of his way to incite discussion about his team. He gave an interview to Zach Lowe of Grantland that covered a wide range of topics that pretty much spanned the spectrum of seriousness: last year’s season and tanking, the Kevin Love-Andrew Wiggins trade, KG, Ricky Rubio, Karl-Anthony Towns, Anthony Bennett and the team’s decision of whether to pick up his next team option, his Mountain Dew habit, drunken trade negotiations back in the 1980s CBA, three-point shooting and spacing, expectations for next season, and Sam Cassell’s injury in the 2004 Playoffs which Flip attributes to a testicles-dance gone bad. (!) The whole interview is absolutely worth reading, in case you missed it. Link here. Yesterday, Flip offered a bit more to chew on. This time the medium was his very own Twitter account which had been inactive for a long time. Flip hopped on yesterday in the early Sunday evening to “set this straight,” and very briefly explain that he and his staff “love” three-point shots, they have to shoot them, they will shoot them and whoever said otherwise is wrong. There was a vague introductory reference to “blogs” and “experts” as the culprits erroneously suggesting that Flip might not prioritize the three-point shot as highly as his modern coaching peers, or as much as he should. For Timberwolves fans paying somewhat close attention to the team and to the league, the threes issue is a sensitive one. Threes are an essential tool for building a good offense in the modern NBA. That’s pretty much undisputed at this point. In spite of this, Flip Saunders — no matter what he says on Twitter — does not run offenses that generate very many three-point shots. As Seth Partnow pointed out in his latest piece for the Washington Post, Flip’s teams have shot threes at a lower-than-league-average rate in every season but one, since the league moved the line back to its current distance in 1997. That covers time spent with the Timberwolves, Pistons, Wizards, and Timberwolves again. That covers almost 20 years. For Flip to say that he “loves” three-point shots and call out “blogs” for questioning this is either disingenuous or just redefining what words like “love” even mean. He clearly does not coach in a way that leads to effective, prolific three-point shooting. And fans, armed with more and better information than ever, know this. So when Flip goes on the Twitter attack, it leads to backlash and argument and discussion and all of a sudden we can’t tell if we’re happy or mad about the Timberwolves. Which leads me to this early-August post, and the things I feel that Timberwolves fans should be mostly hopeful about, and mostly concerned about. I think there is ample substance on both sides of the ledger, and it’s unreasonable for any fan to feel completely one sided about the State of the Timberwolves. Wiggins is the best thing that the Wolves have going for them. He’s the reigning Rookie of the Year. He’s a serious competitor. He’s long and athletic, and a ferocious dunker no matter what lies in front of him on his path to the hoop. Yes, even if it’s 7’2″ Stifle Tower, Rudy Gobert. In the last month of the season, Wiggins was averaging 23, 6 and 4, and getting to the line 10 times per game. If he can clean up around the edges of his game — and there’s no reason to believe he won’t — he’ll be a many-time All-Star. I didn’t even mention his defense; he probably takes that more seriously than his scoring. He’s amazing. Wolves fans should have unconditional excitement over Andrew Wiggins. The Wolves were 16-66 last season. It’s difficult to describe how poorly they played on most nights. According to nba.com, they had the league’s worst defense (by a fair margin) and the league’s 5th worst offense. One rebuttal to using this as a cause for concern is that the Wolves sat out their veterans for many games (Rubio in particular) and their tanking incentive insulates the whole season from drawing meaning, and therefore, from criticism. I agree with that to some extent, but the point stands: they are coming from the bottom as a reference point; that’s where the expectations have been built in for Wiggins and Zach LaVine, who have no other NBA experience to draw on. That is not a good thing. It’s not healthy for building a culture, to say nothing of what it says about the coaching staff and its competence in developing winning strategies. Last year’s performance is a legitimate reason for fans to be concerned, going forward. If Wiggins is the best thing the Wolves have going for them, Towns is poised to do all he can to rival that claim. Like Wiggins he was the top pick in the draft. Like Wiggins, he has great size and skill for his position. Like Wiggins, Towns has the potential to affect both ends of the floor and be a perennial All-Star. What Wiggins has that Towns doesn’t, is some NBA experience and success. We don’t know what Andrew Wiggins In His Prime looks like yet, but we have a better idea of that than anything related to Towns, who just hasn’t played yet. But the Wolves most prized assets begin with Wiggins and Towns, and then there’s a big, big drop off. If all goes well, this is a wing-post nucleus that will carry this team deep into the playoffs for many years; hopefully starting soon. Cause for Concern #2 – Flip may love threes, but not as much as most other coaches do. As mentioned above, and as graphed in the linked WaPo piece, Flip’s teams simply do not shoot as many threes as most teams. More concerning, perhaps, is that they don’t use enough ball screens or set up shooters in good position, outside of the three-point line. Far too often the Wolves intentionally design sets for players running off of non-ball screens; perhaps aesthetically pleasing to Flip and others (I’m guilty of enjoying a hot night of shooting from JJ Redick and players of his ilk) but not as efficient in most cases as “bringing two to the ball” (in Frank Vogel terminology) and causing defenses to figure out what’s next in a 4 against 3 scenario that often ensues once the dribbler passes off of a ball screen. It often leads to a standing shooter, catching and firing from beyond the three-line. Or the threat of that high-efficiency shot draws out an over-agressive close-out, which leads to an open drive to the hoop. All of it is better than what we saw for strategy last year. I hope the offense looks different, going forward. 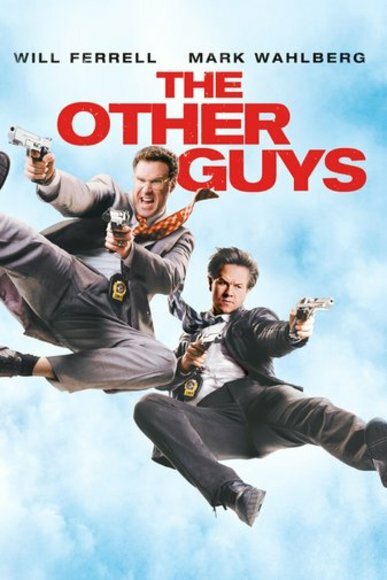 Cause for Hope #3 – That one or two of “The Other Guys” will reach their potential. Although Wiggins and Towns are the team’s most valuable assets, the Wolves are not without other players with interesting upside and probably even “could possibly make an All-Star Team or two” potential. Ricky Rubio leads the list of “the other guys.” Rubio is currently the team’s best all-around player. He impacts games more positively than any other current Wolf. (KG might be better per-minute, but he is not going to play enough minutes to rival Rubio’s contributions.) If Ricky learns how to shoot at a decent NBA-guard level, his all-around game should make him one of the league’s ten best point guards and one of its two or three most entertaining. Shabazz Muhammad is likewise an interesting young player. He’s basically the league’s leader in points per times he touches the ball. That stat can be met with a joke about his lack of passing instincts, but it really does get to the heart of his game: cutting to get open and barreling toward the hole without regard for anyone or anything else in the world as he sees it in that moment. He’s a determined scorer. He needs to continue to improve his defensive awareness and do the best he can with lateral quickness. On offense, he would be wise to mix in the occasional drive-and-kick to three-point shooters. If Flip will design sets where players are stationed behind the three-point line, that is. I digress. There are more on this list. Zach LaVine is the bounciest player I have ever seen, and has a surprisingly soft touch on his shot. Nikola Pekovic is a proven commodity, but has very serious questions about his health. Anthony Bennett has a beautiful-looking shot and physically-mature body for such a young forward, but will he ever put it together? Gorgui Dieng has an interesting combination of abilities, but seemed to regress in some ways last year; mainly on defense. What does his future look like? What about Tyus Jones, the freshman most-outstanding-player in the Final Four? Nmenja Bjelica joins the Wolves after winning Euro MVP honors. Can he become an NBA impact player? The best case scenario for the Wolves is that Wiggins and Towns become All-Stars and one or two of these “other guys” joins them as an unquestionable part of a “core” for a half dozen seasons. They don’t necessarily need to be All-Stars but they need to be bona fide NBA studs who are consistent and difficult to game plan for. There is hope that it will happen with one or two of them by what they’ve already shown and the sheer number of possibilities here. What if things don’t go well on one of those levels of operation (particularly the latter two)? If Flip’s offense continues to disregard the three-point shot and benefits of floor spacing, who is going to do something about it? What if last year’s historically-bad defense was at least in part due to coaching? Same question: who steps in to make a change? We all know that the answer is nobody. So we’re without recourse in these circumstances and all that we can do is hope for change. I guess that’s where hope meets concern, and a good place to wrap this one up. Anyway, those are one man’s thoughts on where things are at with this team. Feel free to share yours in the comments. Great post – a fun read. My other disagreement would be on Zach. While his stats were not great last year, they were very encouraging over the last month of the season as he started “getting it.” He will also playing out of position (IMO) due to injury and lack of weight. This year he’ll be exclusively or mostly at SG which is a much better fit. I suspect by the end of the year the Wolves will have a “Big 4” of Wiggins/Towns/Zach/Rubio with Shabazz/Dieng providing key contributions off the bench. Still need a long-term solution at PF (unless Bjelica can do it).